fruit – Cinnamon and cocoa kitchen. Eating better through planning, not work. 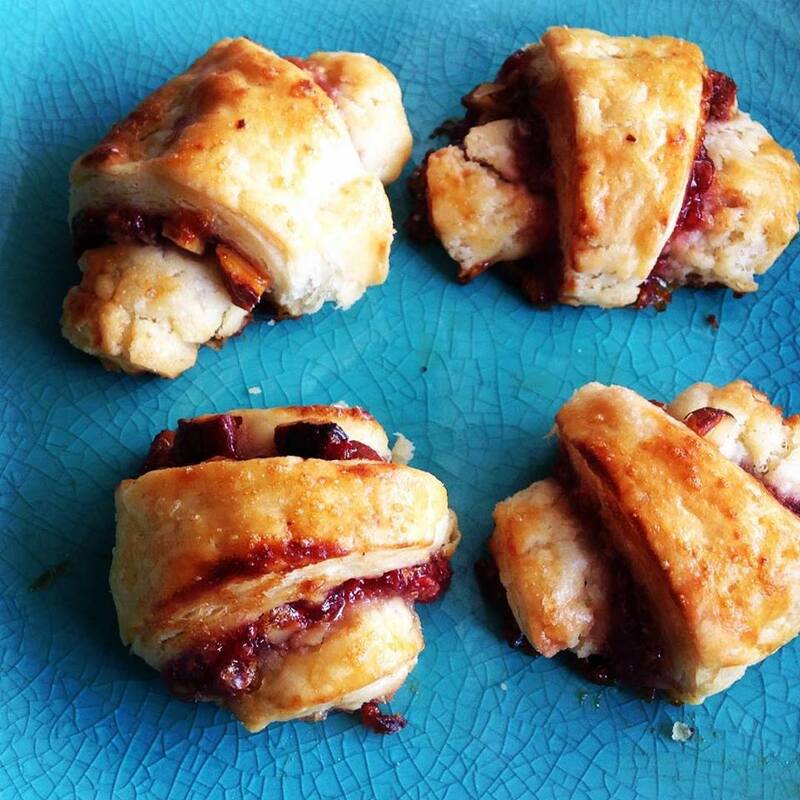 Rugelach, more effort than they’re worth? Rugelach. Sweet, sweet rugelach. Despite my knowledge that these are Jewish cookies in origin every time I say the name my boyfriend and his family (Israelis) think I’m saying “arugula.” I’ve had these cookies prepackaged and store bought more times than I can remember. Equally forgettable were the stale, bland cookies themselves. Rugelach never excited me until I started working my way through Mrs. Wheelbarrow’s Practical Pantry. In it the inspiringly talented Cathy Barrow mentions these flaky little rolls as her favourite cookie ever. This alone was enough for me to try the recipe. Also I had three jars of homemade jam that were halfway full.